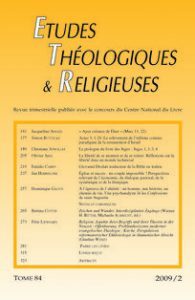 Ce texte d’Olivier Abel sur les rapports entre technique et liberté est issu d’une conférence donnée à Istanbul, le 9 avril 2001, à l’occasion d’un colloque organisé par l’Université du Bosphore et l’Institut Français. Can we reasonably expect to overcome the boundaries of our human condition in the name of our political freedom and by virtue of our technical creativity? How are we to understand political freedom-and its ethical or metaphysical corollaries-in a technical world? In this lecture pronounced at the Boğaziçi University of Istanbul in April 2001, Olivier Abel calls for a form of freedom that would not claim to resolve the questions raised by technique, but still comprehend them within the unpretentious frame of a sustainable modus vivendi.